Revolutionizing limits and boundaries into strength and achievement is one among many accomplishments made by Special Olympics athletes to help blur the line between ability and disability. 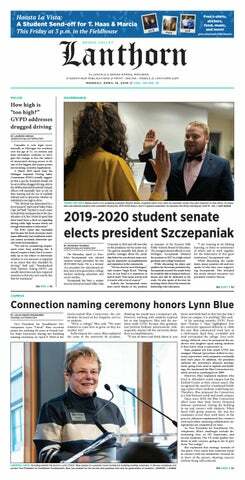 However, to eliminate that line completely, students at Grand Valley State University are working to promote equality and relegate the use of degrading language. These students belong to SSOA, Students for Special Olympics Advocacy, which aims to enhance the lives of people with intellectual disabilities. The organization has grown from five members to nearly 60, and is comprised of student volunteers from a variety of majors. The group volunteers in Area 12, which serves Ottawa and Allegan counties and boasts 490 Special Olympics athletes. Alpine skiing, gymnastics, basketball and aquatics are among the number of sports participants can compete in. Despite advocating on behalf of those with intellectual disabilities, SSOA collectively establishes equality by integrating student members to practice and compete against Special Olympics athletes. On Thursday, the organization hosted “Spread the Word to End the Word” as an event to support a national campaign called Spread the Word. The campaign was created by the Special Olympics and aims to raise awareness about the derogatory nature and hurtfulness of the R-word. “Our goal is to bring the event to high schools and middle schools in the area because that’s usually the age range of when people start using the R-word,” Hurt said. The campaign asks people to pledge to stop saying the R-word as a starting point toward creating more accepting attitudes and communities for all people. Hurt said students can sign the pledge inside of Kirkhof. To learn more about SSOA, visit their Facebook page at www.facebook.com/gvsussoa.